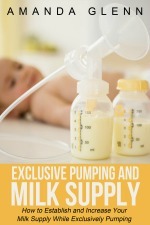 Exclusively pumping moms are BOTH breastfeeding and bottle feeding moms. After pumping breast milk, they need to feed it to their babies (usually via bottle, but sometimes via syringe or supplemental nursing system. A lot of women wonder how much breast milk to feed to your baby at 2 months, 3 months, etc. 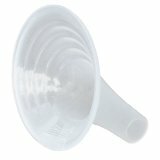 Others need to supplement with formula, but aren't sure whether or not you can mix breast milk with formula or what the best way to do it is. And some moms are "triple feeding" (nursing, pumping, and bottle feeding) and need a system to manage it. Here are a few key articles about bottle feeding breast milk to your baby. How Much Milk Do Breastfed Babies Eat? 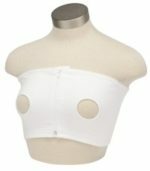 - Because most breastfeeding moms nurse, they usually don't know how much breast milk their baby is taking in a day. I did a survey of exclusive pumpers to see how much breast milk babies were eating at different ages to give you a general idea of how much your baby will need and compared it to formula intake guidelines. Can I Feed My Baby This Breast Milk? 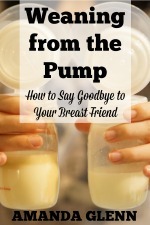 - Here are the most common questions I get about storing and handling breast milk, along with answers from official sources such as the CDC. Everything from "can I rewarm breast milk?" to "my baby didn't finish her bottle, can I offer it later?" to "how long can breast milk stay out at room temperature?" Supplementing with Formula - The easiest ways to supplement breast milk with formula, including rules for combining breast milk and formula in the same bottle. Triple Feeding - Triple feeding means nursing, pumping, and bottle feeding. Many moms do this when they have a newborn as a way of keeping their supply up and their baby fed while they work on nursing. It's can be exhausting and time consuming; here's how to make the process of nursing, pumping, and bottle feeding breast milk easier.